Waimea is known for many things! Its rolling hills, the crisp nights and beautiful clear skies, its close proximity to the impressive Waipi’o Valley and, of course, the beautiful white sand beaches on the north Kona and Kohala cast. If you are spending the night in one of the charming bed and breakfasts in Waimea you should definitely take your car and drive a little bit out of town to look for a dark spot and go stargazing. Even better, drive up to the Onizuka visitor center halfway up Mauna Kea to check out the free stargazing program (including telescopes! 4 nights / week). The scenery around Waimea is stunning and you will find many hiking and horseback riding opportunities here. At a small distance driving you find the unmissable Waipio valley (you need a 4WD car to drive down into the valley) and the almost as beautiful but more easily accessible Pololu valley. 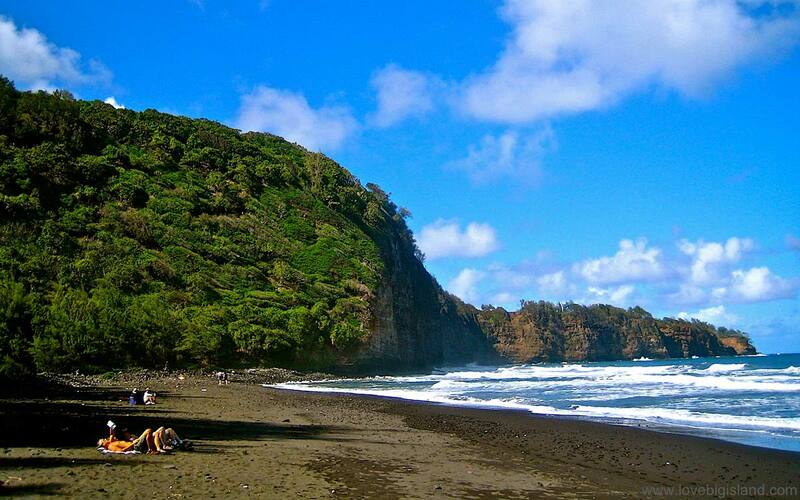 The beach in Pololu valley is well-suited for a rewarding rest after you hike down into the valley. This hike, by the way, is one of our favorite 5 short hikes of the Big Island. If you are into horseback riding, we can also recommend a visit to the Parker ranch and the Anna ranch heritage center. In both places you can learn a lot about the history of ranching and the Hawaiian cowboy (pianolo). The white sand beaches at the north Kona and Kohala coast are only a short 20 minute drive from Waimea. The easiest to reach beaches most popular beaches here are Mauna Kea beach, Hapuna beach, and Waialea beach (beach 69). 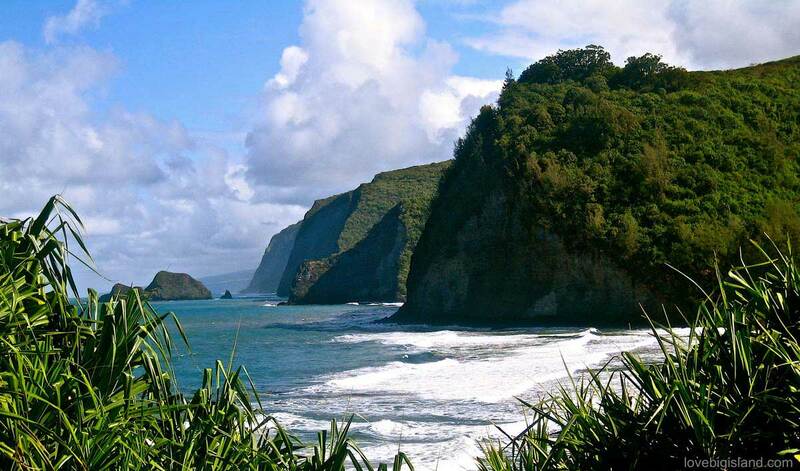 See our big list of beaches for all beaches close to Waimea. Read more about seeing whales from the shore (DIY guide). Spencer beach park offers good whale watching conditions through the picnic spots right next to the seaside. Image credit: google street view. Once back in Waimea, one must-visit for home made tasty beers and Mexican food is the local brewery and Mexican restaurant the Big Island brewhaus.